Want to be a savvy shopper? Than you need to know the best deals, steals and sales of each month. 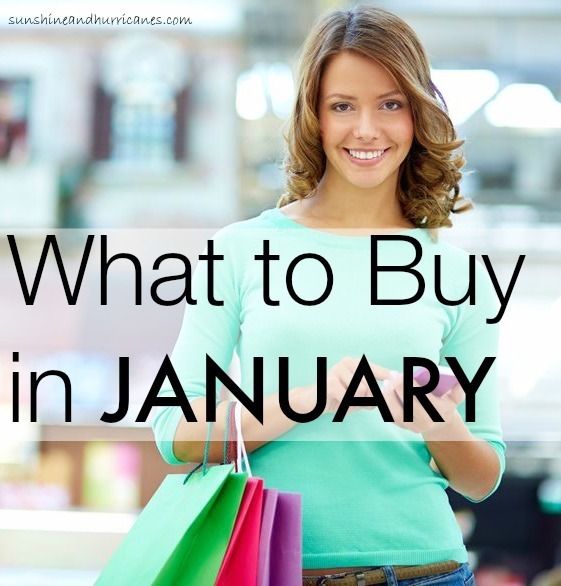 Here is What to Buy in January? It’s almost time to ring in the New Year! 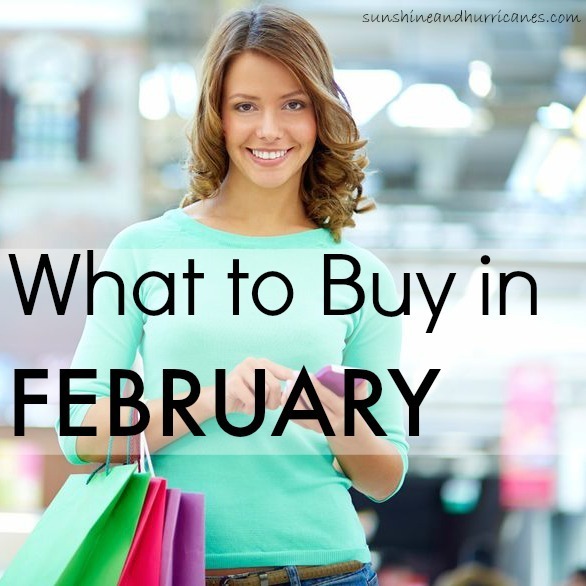 To start the year off on the right financial foot, we thought we would help you out with a month by month savings guide for household purchases. We’ll let you know, which products that we all commonly buy will be at their best prices for every month of the year. In other words, although we all know that there are sales and bargains to be had on just about anything, anytime, we often want to know if we’re really getting the sweetest deals. 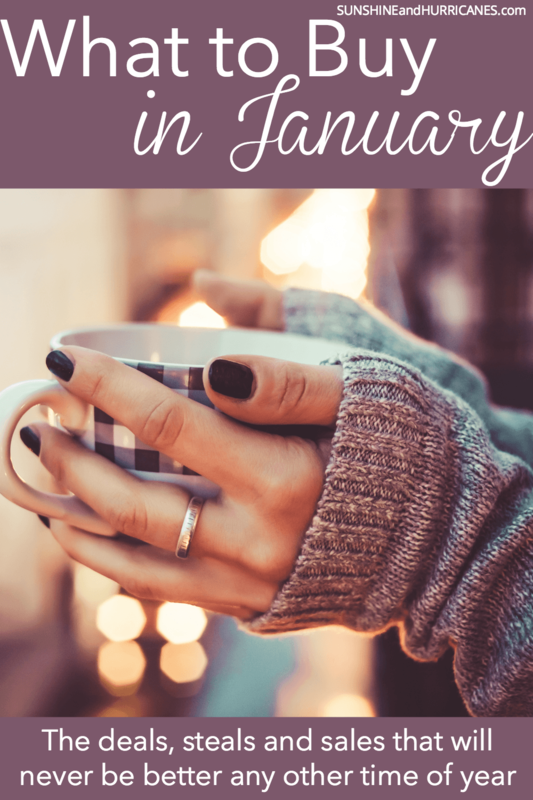 Since almost all products have a lifecycle, there are definitely times during the year when prices on different items will be at their lowest.So, let’s get started with our savings by talking about what should be on your list for What to Buy in January. I’m sure I’m not surprising most people with my first suggestion, which is any kind of holiday décor or all the associated trimmings. Don’t get caught next year having to pay full price for replacement lights, or wrapping paper, bows and gift tags. All of this is steadily marked down during the month of January and will often be discounted by as much as 75%. Last year, I restocked all my wrapping supplies at Target in mid-January for less than $10. Also, as crazy as it may sound, January sales can be an ideal opportunity to pick-up a few presents for Birthday parties during the year or even next Christmas. Toys and last year’s additions of video games go on clearance starting in January. At a minimum, you should at least consider tucking away some half-price stocking stuffers, which also could make great Birthday Party Good Bag options! If you’re looking to update your winter wardrobe, now is the time. I live in Florida, so winter is relative, but wherever you live there will still be plenty of styles available for all temps. An added bonus for those living in warmer climates is that swimwear is often included in these winter clothes clear out sales, because stores will soon be receiving the latest styles for the coming season. Also, for anyone who travels to colder climates to visit family regularly or maybe hit the slopes, this is definitely when you want to grab coats, gloves, boots and winter sports equipment. If you’re sheets are getting a bit threadbare or you’ve really been wanting to give your bathroom a new pop of color, then keep an eye out for serious mark-downs on linens this month. “White Sales” have been a tradition in January for decades and it’s a time when stores try to entice shoppers with especially low prices on towels and sheets. If you’ve been wondering about investing in some higher quality linens, you’ll find that many will be at prices rivaling the less expensive options. However, while the more exotic sounding 100% Egyptian will hold up longer and save you money in the long run, don’t be so easily persuaded to spend more for high thread count sheets. It’s the type of fiber, such as 100% cotton and Supima cotton that will give you more comfortable and durable bedding, even at a lower thread count. Looking to do a little more drastic redecorating than a simple change of towels and sheets? Perhaps your kids are outgrowing their early childhood furniture or you’re tired of your husband’s black leather bachelor couch that is still hanging out in your den. February and August are when the latest furniture trends hit the stores. So, in January, many retailers are anxious to move out the old, to make way for the new. You can also score some fair reductions on flooring during January. Many people, in preparation for holiday guests, will tackle this project in November and December. However, things slow way down in January, prompting discounts to stimulate sales. Lastly, if your family are big football fans and you’ve had your hearts set on a brand new TV to watch the Superbowl this year, you might be able to make that dream come true. Although, I don’t blame anyone for being suspicious of all the hype and gimmicks from electronics stores trying to push the big-screen TVs for the big game, if you shop smart you might actually luck into a real deal. Do your research ahead of time comparing prices online so you are clear about the range in prices for the specific TV you’re looking to purchase. Once at the store, stick to your budget, don’t be afraid to negotiate and be careful you don’t get talked into a pricier model. Keeping all of this in mind, if you’re not hosting the watching game this year and can wait until afterward, that is when you’re more likely to find deeper discounts on a larger selection of options. Looking to get your whole house in financial order as you kick off the new year? I can’t recommend Dave Ramsey’s Financial books enough. Here is one of my favorites. Want a sneak peek on the deals and steals for next month? Also, be sure to sign up for our email list below, so you can keep up with our month by month series of when to get the best deals on what products! Would you add anything to our list of What to Buy in January? I’d add mattresses to the furniture category. A lot of stores have mattress sales in early January to make room for new stock, and you can get an even better deal if you ask about buying a floor model. In the “olden days” the stores always had “white sales ” for linens in January. Now they start Dec 26. Just wish I had a little money left. It would be prudent to plan on these sales. I need to make note in my new year budget. These are great!! Our family always gets Christmas decorations after Christmas for 50% deals! We also got 2 sets of fleece sheet sets for winter at a great price too!! We need another T.V. It makes total sense they would be less right now, I just haven’t thought of it. 🙂 Great tips. We definitely do all our Furniture shopping in January such deep discounts since they sell many of last year’s models and floor samples to make room for new year inventory. Thanks for the tips. I totally agree with getting in on the holiday sales! They have such great things on sale during this time! You are so correct about this list. I love this time of the year for this particular reason. What a great list! definitely some great saving tips! Thanks for the great tips. I had no idea furniture was less expensive in January and I could use so new pieces to finish my basement. Great list…there are a few things I hadn’t really thought of! I will be on the lookout for great deals! Thank you for this post this was very helpful. I need to look for artificial tree because our oldest daughter is allergic to live Christmas trees. this was a great morning read. We’ve been discussing a new dining room table and it sounds like it’s just the right time. Thanks! Awesome advice! I’m constantly searching for deals, so I’ll keep this post in mind! I love all the great tips! Living in Texas where it dosn’t even start to get chilly until January the “stock up on winter wear” is always a must! Yes to linens! With a newborn, we’re finding that we’re going through so much laundry lately, as can be expected. It really helps you hone in on your domestic deficiencies. Target just had a really great linen sale! Thank you for the great tips! I always stock up on Christmas decorations, and wrapping paper after the holidays in January. I have found some great deals. Wow this was so helpful! If only I could keep track of each thing for every month!